We’ve got a crazy good coupon for bacon today!! 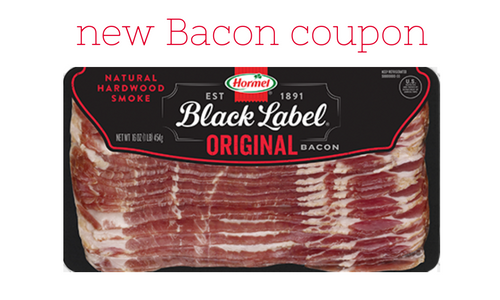 Get $3 off any (2) Hormel Black Label bacon with this printable coupon. (It is a regional coupon so if you don’t see it, then it’s not available in your area). Tip: The coupon doesn’t expire until July 30th once you print it! So grab it and hold on to it if you want!! Your best deals right now are at Harris Teeter and Kroger!